Afronerd Radio Presents The Mid Week in Review, Wed@7:30pm-Current Events Plus! - Afronerd: The Blerd Revolution Has Begun! 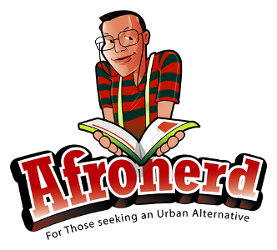 Home > Untagged Afronerd Radio Presents The Mid Week in Review, Wed@7:30pm-Current Events Plus! Afronerd Radio Presents The Mid Week in Review, Wed@7:30pm-Current Events Plus! Greetings! Welcome to the latest episode of Afronerd Radio's Mid Week in Review broadcast airing this Wednesday at 7:30pm (EST). Join your hosts, Dburt and Capt. Kirk as they "deconstruct" the (mid) week's latest stories in their own inimitable way. The topics on the table are: YourBlackWorld.net's Dr. Boyce Watkins' latest op-ed ponders why the highly esteemed Black Enterprise magazine reimagined basketball legend, Michael Jordan as a Black leader worthy of a fantasy placement on Mt. Rushmore; the crew got a chance to check out acclaimed director, Chris Nolan's latest celluloid venture, Interstellar; and in another movie moment, Dburt laments how the Black nerd meme stalls and the White/Asian analogue thrives after viewing Marvel/Disney's Big Hero 6 film; actor/game show host/speechwriter, Ben Stein is at again with a scathing commentary levied toward the Black underclass; The Washington Post provides yet another ponderous and indefensible disquisition on the evolution of the "n-word" (double yawn); in Blerd/Blue Area news, a former teacher develops an app that may close the achievement gap in underperforming schools and lastly, watch how a community rallies when threatened-rapper, Nicki Minaj incurs the wrath of Jewish leaders upon the release of her new video which appears to channel Nazi iconography. Call live at 646-915-9620.